Get ready for a clean car that beads water like never before! 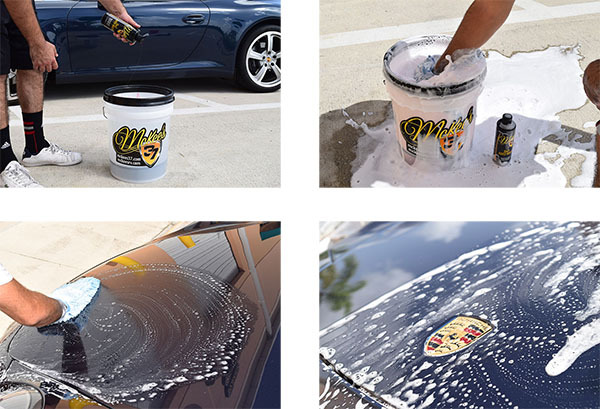 The McKee's 37 Hydro Blue Foam & Coat Wash Kit is the perfect combination of products you need to keep your car sparkling clean and beading water like mad! This all-inclusive kit starts with the basics: A McKee's 37 Bucket with Gamma Seal Lid and Grit Guard for proper washing without risking swirls. Add to that the McKee's 37 Quart Foamaster Foam Gun along with McKee's 37 SiO2 Auto Wash, and now you’ve got a foam party right in your driveway! Once your vehicle is squeaky clean, a quick application of McKee's 37 Hydro Blue will dramatically increase gloss, boost protection, and keep water beading with very little effort on your part. The McKee's 37 Hydro Blue Foam & Coat Wash Kit is a must have for detailers of all skill levels! The idea behind a foam gun is to minimize the amount of rubbing and scrubbing necessary to clean the vehicle by pre-soaking it with frothy foam.The foam starts loosening and lubricating the paint immediately. As you work your way down and around the vehicle with a mitt or sponge, you don’t have to use as much force to remove dirt and debris. It's already loose and just needs slight agitation to release it from the paint surface. This gentle touch substantially decreases the risk of micro-marring because the paint is covered in a foamy layer of lubrication. Used in combination with a premium car shampoo, the Foamaster is a guaranteed safe way to wash your vehicle. 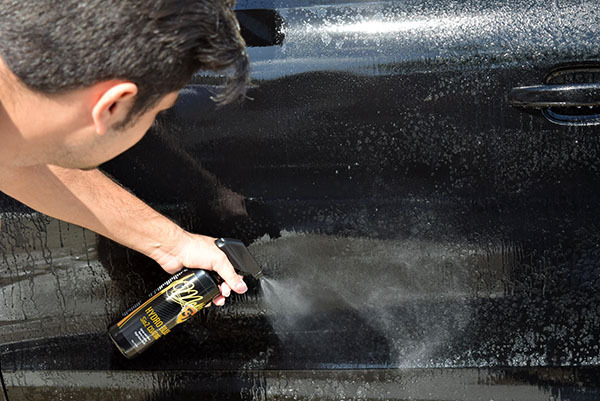 Spray directly onto exterior panels AFTER you wash your car, while it's still wet...then simply rinse it off! A total retail value of $189.63. Save $40.64! Outstanding 5 The best! I never knew such products and chemicals existed that would make washing my car so much better. No wonder Mr. Carini is a partner in this company!